Louisiana, a southeastern region state of the U.S., is known to have a population of 4.7 million people. That makes it the 25th most populous state in the United States. Seniors ages 65 and older make up 14% of its total population. Louisiana has 793,000 individuals covered under Medicare (2015, kff.org). Roughly 135,000 beneficiaries are enrolled in a Louisiana Medicare Supplement Plan or “Medigap” policy (2015, AHIP.org). The most popular Louisiana Medicare Supplement Plans are Plan F, G, and N (2015, AHIP.org). Like most states, Louisiana has ten standardized Medigap policies sold by private insurance providers. Louisiana Medicare Supplement Plans can help cover the out-of-pocket costs Original Medicare doesn’t cover. The best time to enroll is during the Medigap Open Enrollment Period. This six-month period begins the month you are age 65 or older and enrolled in Medicare Part B. During this period, you can enroll in a Louisiana Medicare Supplement without having to undergo underwriting. After this period, there is a possibility of medical underwriting and coverage can be denied if you have pre-existing conditions or disabilities. 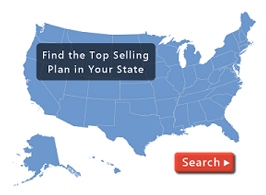 Find out what carriers and plans best fits your needs by calling Plan Medigap at (800) 750-2407, complete our quote page, or view the link below to request for information.